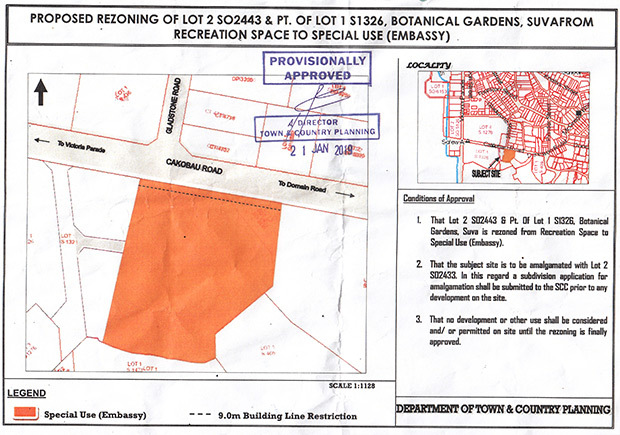 The Department of Town and Country Planning has today made it clear that the Lot 2 land at the Suva Botanical Gardens that is being proposed to be given for the Indian Embassy will not affect the Gardens. 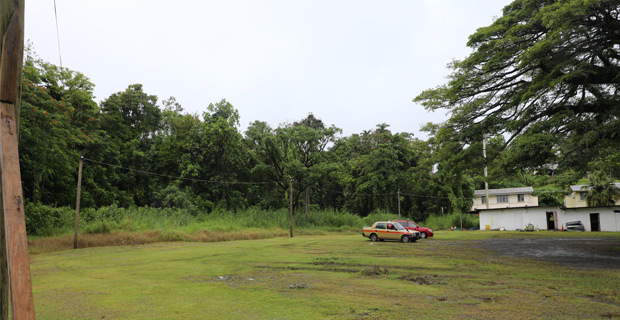 Fijivillage visited The proposed site today and the department says the idle land is behind the Fiji Museum and away from the gardens and in no way affects the gardens. They say that people must understand that this is a provisional approval adding that nothing is approved yet. They say that the objection period is still ongoing. The state land is being exchanged with a land in Delhi where Fiji is expected to build its Embassy. It was announced by the government in 2014 that the value of the state land is about $1.5 million while the land that is being given to Fiji is about $107 million. People can address their written objections to the acting CEO of the SCC by the 25th of this month.